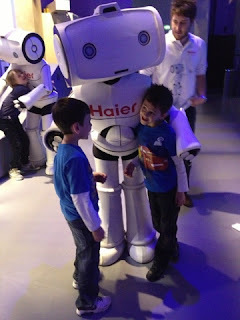 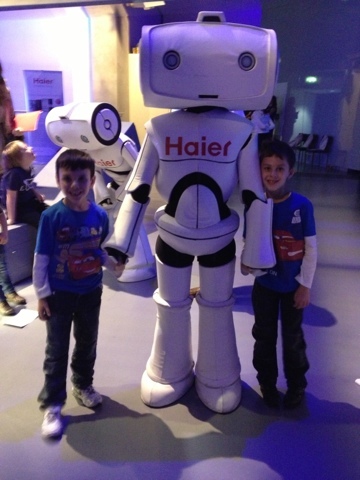 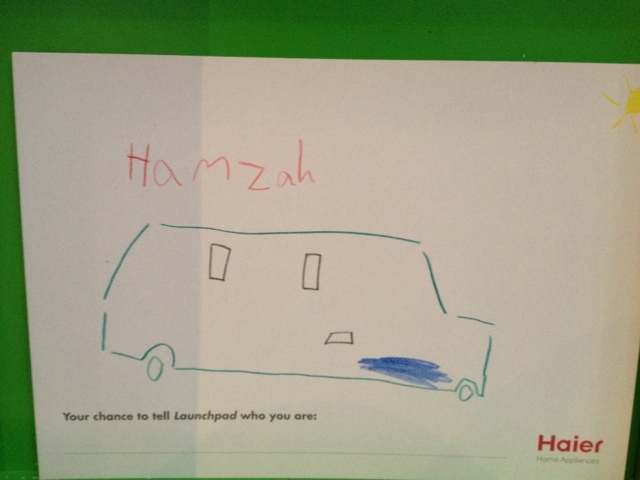 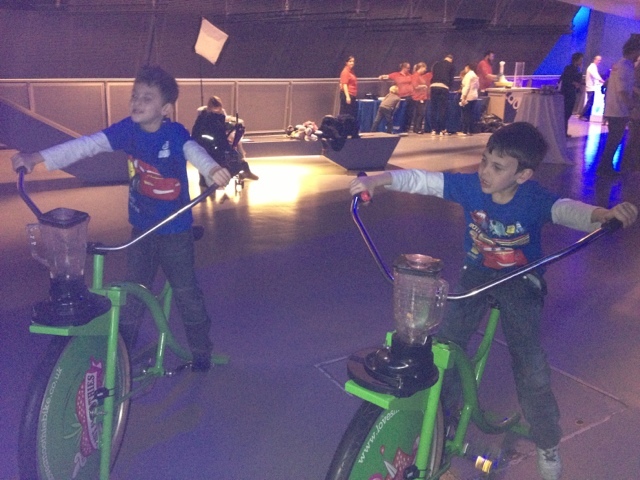 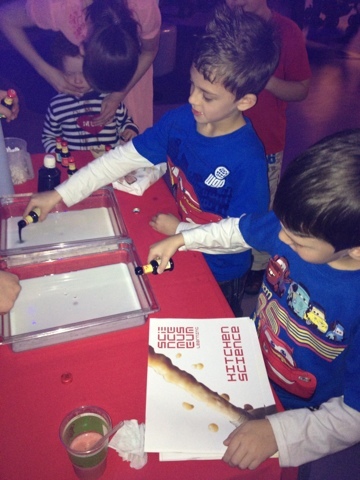 We were privileged to attend the Science Museum exclusive family event on Saturday 13th October 2012 in London,Hosted by Haier ...where children and parents and celebrity families got involved with some fantastic hands on experiments... which were educational and loads of fun. 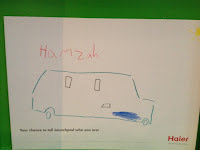 Children were also encouraged to share there thoughts and inventions and dream up their own designs of the future to see them displayed on Haiers "create it wall" gallery. 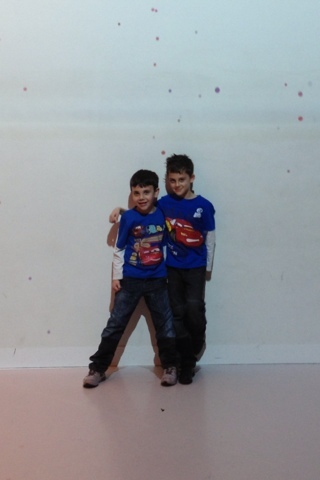 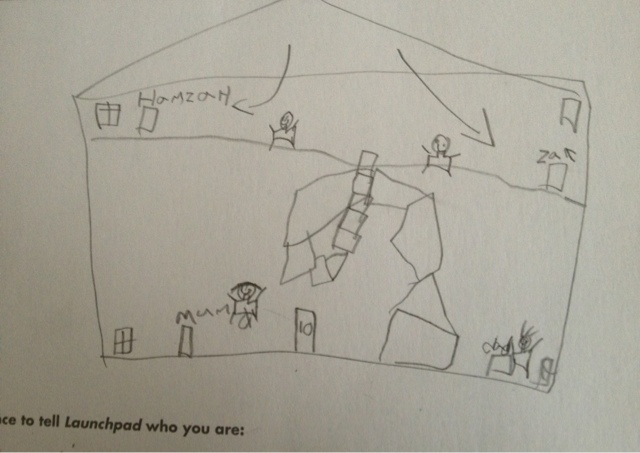 My boys wasted no time at all...Zak created a house that self cleans...( I wish ) and my youngest son Hamzah created a car that can "Fly"...it was great to watch and listen to them share there thoughts and watch there designs become a visual reality. 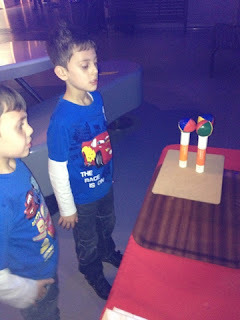 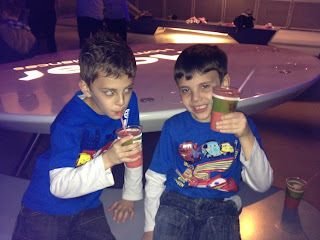 The event defiantly inspired my boys who are looking forward to recreating some of the experiments they experienced on the day.